The first meeting of the year is rolling around. It's a hectic and loud experience. The youth are excited to be out of class, the leader isn't quite sure what their role is yet, enrollment cards are being passed out and picked up and 30 minutes zips by before we know it. All of that and we haven't even had the "meeting". It's just the most stressful time but it's also time well spent because if the youth have a good experience at the first meeting they are more likely to return again the next month. Please use the hidden message activity below with your 4-H programs for the first meeting. 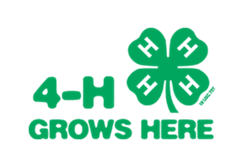 It's a good teamwork and communication activity for your kids to hear the message to join 4-H today. The youth can be in groups of 2's or 4's to solve the hidden message riddle. Use the Microsoft Word doc to add your parish information for future contact.